(Bloomberg) -- At an Australia Post store in northern Sydney, there are almost no signs in English, the staff all speak Mandarin and anything bought there must be shipped to China. The outlet, where shelves are stacked with a2 Milk Co. infant formula, Blackmores Ltd. vitamin pills, lip balms and Manuka honey, is the latest effort to feed the insatiable demand in China for premium foreign-made goods. The so-called daigou trade, where people buy products overseas and ship them to the mainland for resale, is showing no signs of slowing down in Australia -- even after China’s new e-commerce rules came into force on Jan. 1. Government-owned Australia Post opened its “concept store” in the suburb of Chatswood just under a year ago on and its success has already spurred a similar venture in downtown Sydney and two in Melbourne. All are located in areas with large Chinese-speaking populations, where private stores catering to the burgeoning daigou trade operate. 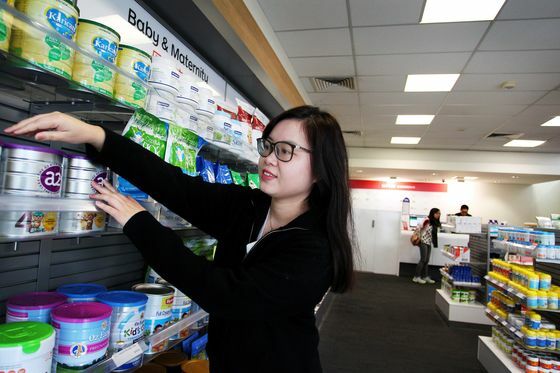 For 35-year-old Cathy Wang, who spends an average of A$500 ($350) a week on products at the Australia Post shop, the attraction is milk powder and other calcium products. They are sold free of Australian goods and services tax, and the size of the packaging available in the store means Wang’s regular shipments typically fall under the level attracting a Chinese import levy. Wang, who’s studying English at a language school in Sydney, said she doesn’t take a cut from the sales, and her friends in China, especially those with kids, prefer buying milk powder from Australia. That’s a legacy of a major food scandal in China over a decade ago when contaminated infant formula killed at least six babies. 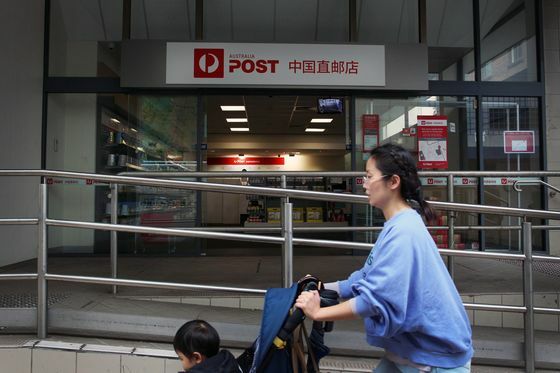 What’s more, Wang says that when she can’t make it to the store -- located in the building that was Chatswood’s main post office for 60 years and still carries very similar signage and branding to conventional post offices -- she uses the social messaging app WeChat to message staff. They then help package and post her order, before billing her via QR code. The store may get even busier, after the Chinese government said Wednesday it will reduce the postal tax on food and medicines, effective from April 9.